Mobern Premier Collection FHBC Series Fluorescent high bay fixture has 22-gauge prepainted steel housing for longer life. It supports (6) 46-Inch T5HO 841K fluorescent lamps for energy efficiency, superior color rendering and long life. The fixture provides mounting holes for simple, fast installation and supports pendant, stem or chain hanging. It is suitable for warehouses, manufacturing plants, sports facilities & retail spaces. 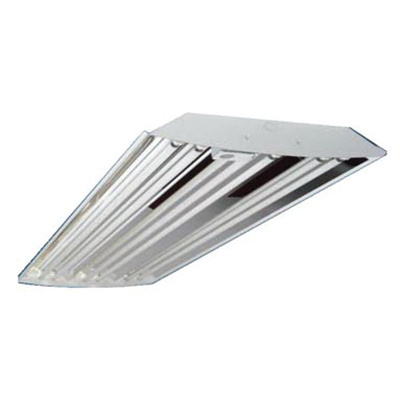 Fluorescent high bay fixture is UL/cUL listed for damp location.